Lat night I went to see The Wedding Present at Koko in Camden Town and was again lucky enough to be able to take my camera. It’s not often that I moved to tears at a gig, there are a couple of regulars that do this, Mission Drive by The Wonder Stuff, a couple of Carter USM tracks to name but a few that always get the tears flowing, songs that men something to me. Twice this evening i found myself getting a little emotional maybe the songs, maybe the fact I had waited around twenty years for this, probably a bit of both. Last night The Wedding Present played the whole of Seamonsters, an album that I was listening to when I was working in Gibraltar, I’d met my first love and split up with her in the same year and the songs from this album seemed to speak to me. I was doing a lot of cycling at this time and this album was one of a couple that I used to listen to whilst climbing through the hills of southern Spain. I’d been at school when John Peel was championing the Leeds four-piece and must admit to not really ‘getting’ their music at the time, as my musical taste matured I learnt to appreciate what Peel had seen. Hearing the same tunes belted out by The Wedding Present twenty years later live at Koko brought all the memories flooding back. The members of the band may have changed with David Gedge heading up the four piece, however the angst, vitriol and vigor were still apparent throughout the set. Strumming and singing as if the lyrics were written yesterday, emotions still raw in the memory. The songs either side of the album were both old and new (Deer Caught in The Headlights – Valentina 2012) showing that Gedge’s playing and writing skills have not been diluted over the years. Sharp lyrics and superb musical skills on show from the off. The Seamonsters album was played from start to finish with no banter in-between songs as Gedge claimed it upset the story, I have to say I agree, the album ebbs and flows nicely and banter would only upset this journey. Despite calls for Kennedy as the last track, the band finished off with the rolling guitar riffs of “What Have I Said Now” a suitable end to the evening showing that David Gedge has not lost any of the manic strumming ability over the years. 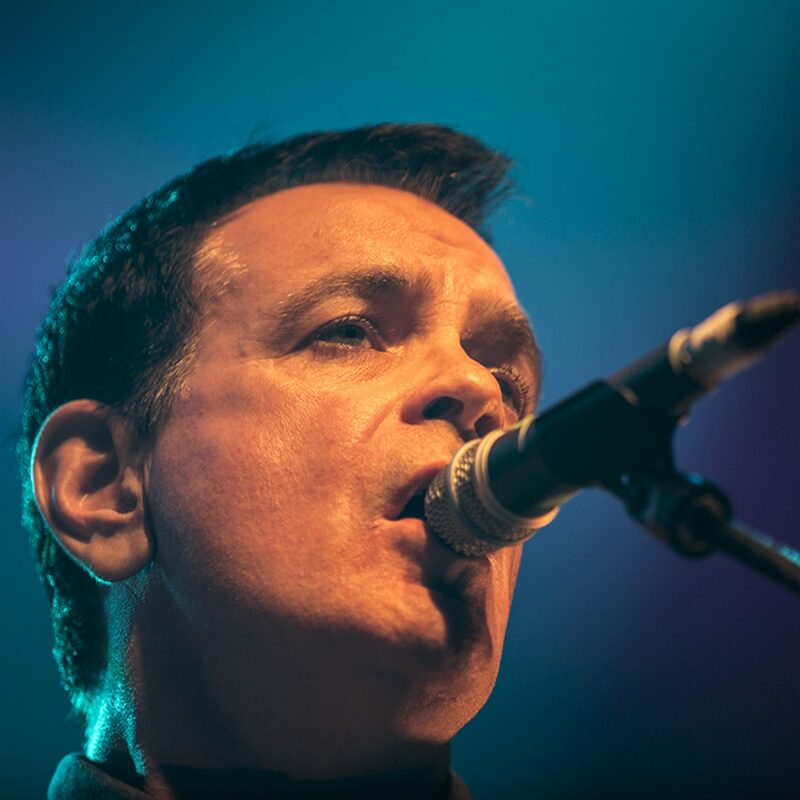 No encores, The Wedding Present come to showcase their no frills guitar rock music. You pay your money you know what you are going to get, great love songs from end to end. Last night all in attendance got an absolute treat, I’ll certainly be on the lookout for the band playing in London agian.